Last week I selected the best midcap funds for 2017 along with the process as to as to how to select the funds that can provide you the right amount of exposure to mid-caps. 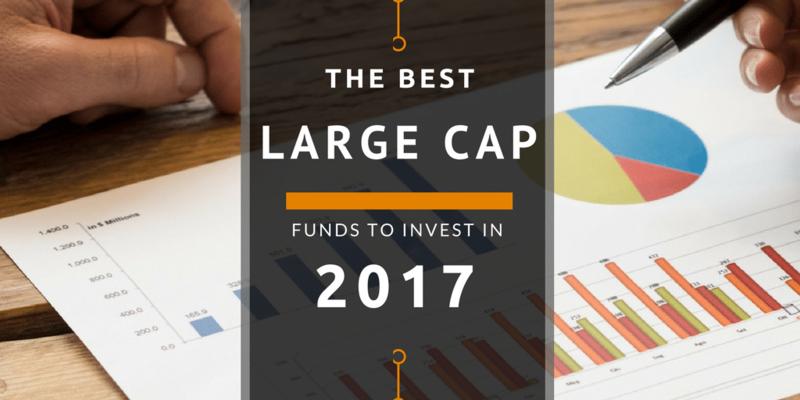 Many readers in comments and emails expressed interest in knowing the best large-cap fund as well so here is my process of selecting the best large cap fund for 2017. 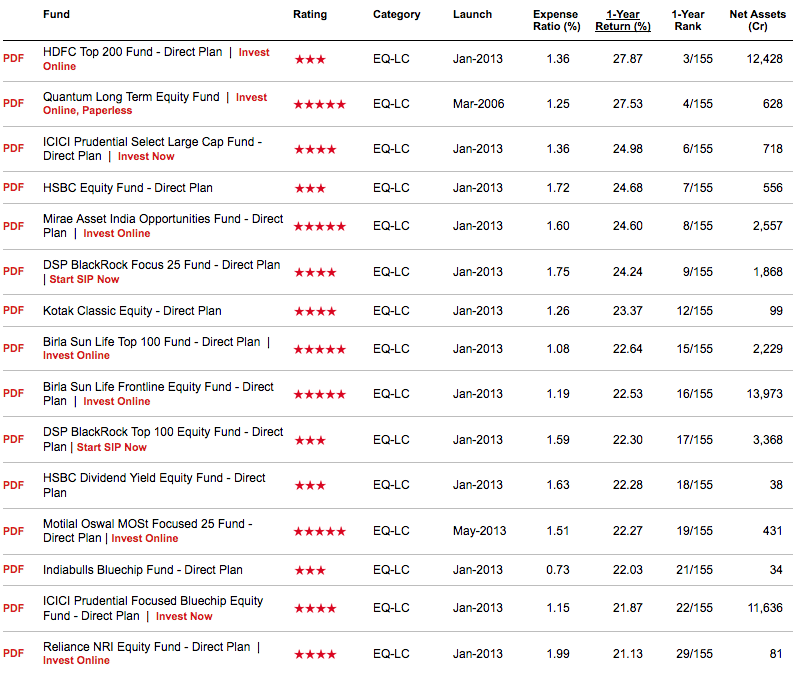 As always let us start with the top performing large cap funds. We select large cap direct funds that are rated as 3,4 and 5 star on ValueResearchOnline and has given more than 20% return in last 1 year. Though all of the funds are large caps, they don’t have same benchmark. And we select the one that can help us with better diversification which is S&P BSE 200. We are left with following large cap funds. Large cap direct funds has similar expense ratio. S now we remove funds with under 100 Cr net assets because they may not be able to afford the best fund managers. We are left with 4 funds. So let us do sectorial comparision to S&P BSE 200 and see which fund has more exposure to sectors that can outperform in the future and has less exposure to sectors that may underperform. I am only considering auto, tech and pharma sector for this analysis because I think 2017 will be an year of auto, tech and pharma as a sector. My view is bullish on auto sector because I see a lot of new innovations coming up in the auto sector and expect some disruption as well. I am not bullish on tech and pharma sector due to high dependency on the USA. Funds that has more exposure to auto and less exposure to tech and pharma compared to S&P BSE 200 can outperform the benchmark. As the best large cap funds of 2017. Again this is not an endorsement that you should invest only in the above funds but the emphasis is on the process that I followed to choose the best funds. You can add other sectors like the metal or energy that you are bullish on and choose a fund that best suits your views. Apply your own creativity and investment instinct to find a best large cap fund for your investment.